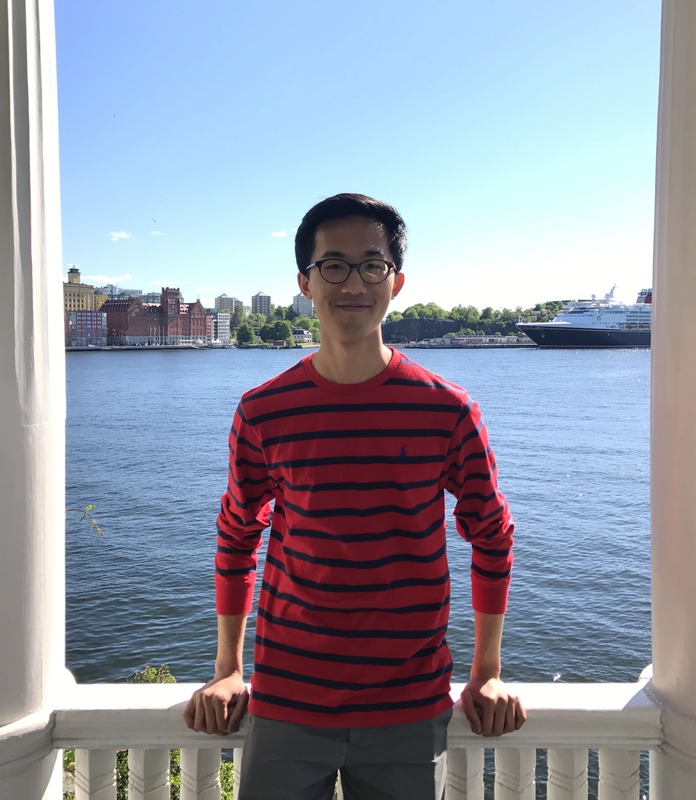 From researching the intersection of international law and nuclear weapons to meeting Queen Noor of Jordan, Brandon Mok ‘19, a history major in the College of Arts & Sciences, spent his summer immersing himself in international affairs. Mok interned at the Swedish Institute of International Affairs in Stockholm, Sweden (Utrikespolitiska institutet in Swedish, or UI) for part of the summer and also received a Davis United World College summer research fellowship at the James Martin Center for Nonproliferation Studies (CNS) at the Middlebury Institute of International Studies in Monterey, California. UI conducts academic and policy-focused research and is a platform for analysis and information on international relations and foreign policy. CNS is dedicated to research and training on nonproliferation and disarmament issues. “Most research in international affairs invariably uses historical sources, so my training in historical analysis and synthesis from my history courses was essential in my research internships,” Mok said. While in Sweden, Mok conducted research on the effects of Brexit on European intelligence sharing and the impact of the Trump administration on European security. He attended several public conferences as a delegate, including the annual conference of the International Commission on Missing Persons, where he met Queen Noor of Jordan and a private address given by Nobel Peace Prize laureate Aung San Suu Kyi at the Swedish Parliament. At his CNS fellowship, Mok attended seminars every day on chemical, biological and nuclear weapons presented by scientific and international policy experts. “I approached an Israeli nuclear historian who had just given a fascinating talk on the history and social context of Israel’s policy of amimut — the government’s policy of neither confirming nor denying the existence of a nuclear weapons program in Israel — and asked him if I could work with him,” Mok said. That inquiry led to a research project, in which Mok compared the nuclear laws and governance structures of countries that are part of the Organization for Economic Cooperation and Development (OECD). Mok said his supervisor plans to use the report as supporting material in a petition submitted to Israel’s Supreme Court, that he has co-written with the Israeli Disarmament Movement. At Cornell, Mok is a writing tutor for the Knight Institute for Writing in the Disciplines and an editor for the Cornell International Affairs Observer and for Cornell’s undergraduate historical review, Ezra’s Archives. Mok is also minoring in French. “My involvement in student organizations has greatly developed my skills in close reading and editing, which were invaluable to the success of the editing work in my internships,” Mok said, adding that classes with Professor Rachel Judith Weil and Lecturer John Barwick, both in the history department, and Assistant Professor Arnika Fuhrmann in Asian Studies taught him how to synthesize information from vastly different sources in order to present compelling arguments. Mok also credits the Judith Reppy Institute for Peace and Conflict Studies and Matthew Evangelista, the President White professor of History and Political Science, for assisting him in securing and succeeding in his internships. “The most rewarding part about these internships was the depth of experience they gave me into the work of a research institute because I was working on very substantial projects,” Mok said.